Yoga Kula and Well Woman Yoga Expert Lara Heppell were delighted to be asked to film a special Well Woman yoga class which will appear on ITV’s Tonight programme this evening at 7:30pm. “Back in August, I received an unexpected call from Elspeth Fisher at ITV news. I was about to set off on an outing with my son and answered the phone before I left, I tried to have a conversation with Elspeth there and then (HA! )…it didn’t happen. 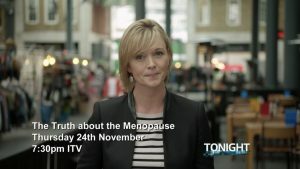 She asked me if I was busy and could chat, I lied and was all casual like, no I am fine to chat (it was ITV after all) and then my son ruined it and started being loud and asking when we weren’t leaving, so we managed to have a very brief discussion about me teaching Menopause yoga both 1-2-1 and to small groups, but also how this was actually apart of a wider offering that I did which was that I taught Well Woman yoga to a mix of age ranges for all women to come together in groups and share where they were at, learn cycle awareness, be in community etc”. support women going through them really help? 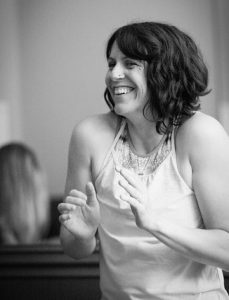 ‘I am very passionate about women’s health and I work with lots of women of all different ages and stages of life, from a girl just entering womanhood, fertility and conception, pregnancy birth and motherhood and beyond into menopause. However more recently I have been working with more women who are starting to experience difficulties with their menstrual cycle, and hormones in their early forties, as they begin to transition into perimenopause, before the menopause symptoms are meant to really hit. I think there is so much to discuss around this that most women are not aware of, that would help to better prepare women for what lies ahead. Perimenopause transition to Menopause can often last for ten to fifteen years for some women. So anything that can be done to raise awareness around this issue, to start to get people, especially women, talking about this issue the better. Having more information and choices available out there will enable women to get support, so that they can better inform themselves, and find out about all the options, both natural and medical to help them to feel better at this difficult time. I think that symptoms of perimenopause and menopause can be life changing for a lot of women and my experience is that many women start to loose confidence at this time as there body and energy shifts. I myself am starting to experience some early perimenopause changes and whilst I know a lot about the theory the experience is a totally different thing and I am learning new tings everyday as I start to transition into this new phase of my own womanhood’. For more information on Well Woman yoga please get in touch. Lara is running a Winter Solstice: Sweet Surrender workshop on Sunday 18th December at 11am. ‘Winter solstice marks the end of hibernation. Join Lara and take some time to reflect on your journey since summer solstice and acknowledge what you’ve completed and the insights gained along the way and make some new “solstice resolutions”, which when planted now will grow with the increasing light as we head towards spring’. For details of our other upcoming workshops please visit our workshops page.